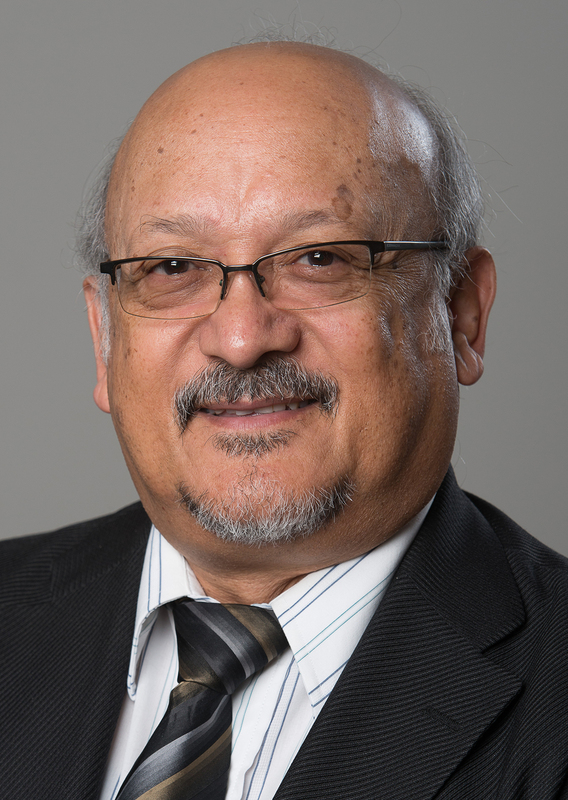 José David Rodriguez is the Augustana Heritage Chair of Global Mission and World Christianity and the Director of Advanced Studies at the Lutheran School of Theology at Chicago (LSTC). Ordained in 1975, Rodriguez served congregations in Puerto Rico and Chicago. He held visiting appointments at the Seminario Evangelico de Puerto Rico and the Comunidad Teologica de Mexico, and was an adjunct faculty member at Elmhurst College, Elmhurst, Ill., and Northern Baptist Theological Seminary, Lombard, Ill., before joining the Lutheran School of Theology faculty in 1985. His service to the church includes membership on a number of boards, including the editorial boards of the Association for the Theological Education of Hispanics and the Journal of Hispanic/Latino Theology. He was co-chair and planner of the first meeting of Hispanic-Latina theologians and ethicists held at Princeton Theological Seminary. He is also member of the Ecumenical Association of Third World Theologians (EATWOT). From 1997 to 2001 he was coordinator of EATWOT’s U.S. Minorities Region. 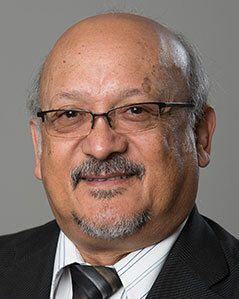 Rodriguez has contributed articles and or book reviews to The Lutheran, Currents in Theology and Mission, Apuntes, Journal of Religion (University of Chicago), and Voces Luteranas. He is currently working on the planning, coordinating, and publishing of the Rev. Evaristo Falco-Esteves lecture series. Rodriguez received the bachelor of arts from Universidad de Puerto Rico in the area of Philosophy (with honors). He earned the master of divinity, master of theology and doctor of theology degrees at the Lutheran School of Theology at Chicago. Teología en Conjunto: Christian Theology From A Hispanic/Latina Perspective. Co-edited with Loyda Marterll-Otero of the First Encuentro of Hispanic/Latina Theologians and Ethicists held at Princeton Theological Seminary on June 8-9, 1996. Louisville: Westminster/John Knox Press, 1997. Justicia en nombre de Dios: Confesando la fe desde una perspectiva Hispana. A collection of Bible studies, sermons and lectures dealing with the confessing witness of faith from a Hispanic Perspective. Chicago: Lutheran School of Theology at Chicago, Hispanic Latino Ministry Program, 2002. Relectura de la teología de Lutero desde el contexto del Tercer Mundo. Co-edited with Nelson Kirst. Mexico: Publicacions El Faro, 1995. "Hanging on a Ghetto Cross: Piri Thomas and Latino Protestant Popular Religion," in Currents in Theology and Mission 31/4 (2004) 298-305. "Black Theology's Impact on the Ecumenical Association of Third World Theologians," in Living Stones in the Household of God: The Legacy and Future of Black Theology. Edited by Linda E. Thomas (Minneapolis: Fortress Press, 2004), 100-106. Augusto "Cesar" Sandino: Messiah of Light and Truth, by Marco Aurelio Navarro-Génie in Journal of Religion (April, 2004). "We Hear in our Own Language: Culture, Theology and Ethics, "written in collaboration with Dr. Richard Perry in Faithful Conversations: Christian Perspectives on Homosexuality. Edited by James Childs, Jr. (Minneapolis: Fortress Press, 2003), 81-96. "In Search for the Messiah in the Mission Field." Currents in Theology and Mission 28/3-4 (2001) 322-5. "Confessing the Faith from a Hispanic Perspective." In Protestantes/Protestants: Hispanic Christianity Within Mainline Traditions, ed. David Maldonado, Jr. Nashville: Abingdon, 1999. Pp. 107-22. Presentacion del libro: Desde la Reforma: El impacto de la Reforma Protestante en los grupos destituidos por Giacomo Cassese. Pueblo Unido Editores, 1998. Pp. 1-2. "Confessing Our Faith in Spanish: Challenge or Promise." In Hispanic Theology: Challenge and Promise, ed. Ada Mar'a Isasi-D'az and Fernando Segovia. Minneapolis: Fortress Press, 1996. Pp. 351-366. Voces de protesta en America Latina (Westhelle). Editor of the Rdo. Evaristo falco. Mexico/ LSTC, Hispanic/Latino Ministry Program, 2000. La Iglesia, signo y primicia del Reino (José D. Rodríguez-Rivera). Chicago: Lutheran School of Theology at Chicago, Hispanic Latino Ministry Program, 2003. Associate Editor of Diccionario Ilustrado de Intérpretes de la Fe: Veinte Siglos de Pensamiento Cristiano. Barcelona: Editorial CLIE, 2004.